John Deere 850 tractors were manufactured, with power steering, by John Deere company from 1978 to 1989. The cost of these tractors in 1989 was approximately $11,000 with options for either two-wheel drive or four-wheel drive models. Requiring diesel fuel, John Deere 850 tractors have three-cylinder engines that are manufactured by Yanmar company. Inside the cylinders, the volume swept by the pistons--also called the engine displacement--is 78 cubic inches. The power take-off (PTO) of a John Deere 850 tractor is 22 horsepower (HP) with a drawbar of 19 HP and a category one three-point hitch. The transmission was built with eight forward gears and two reverse gears. At 2,400 pounds, the John Deere 850 has a wheel-base of 64 inches. The fuel capacity of John Deere 850 tractors is 8.5 gallons, with a 19-gallon hydraulic system, which is a pipe connecting the cylinders. However, after 1984 the hydraulic system rating increased to 21 gallons. 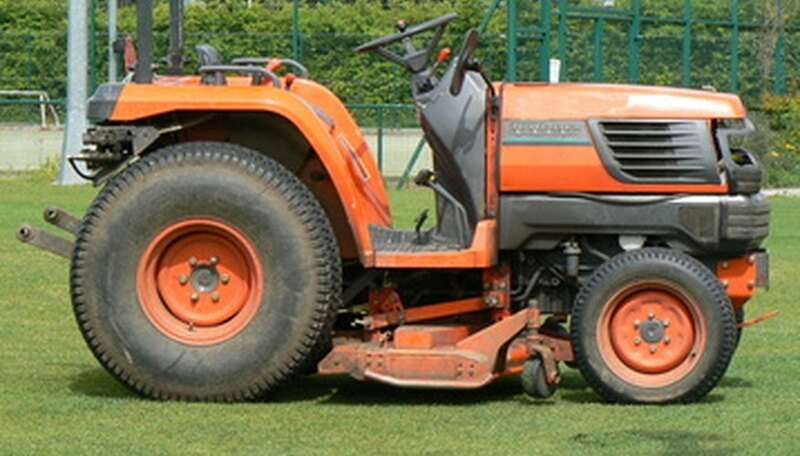 According to tractordata.com, a serial number on a tractor does not confirm the exact date of production. It specifies the year in which a tractor was manufactured. A Serial Number List details the serial number of the first tractor built each year. Serial numbers for the John Deere 850 are 1000 in 1978, 3859 in 1979, 7389 in 1980, 11338 in 1981, 12481 in 1982, 14183 in 1983, 16006 in 1984, 18001 in 1985, 22002 in 1986, 25501 in 1987 and 28337 in 1988.